The victims of one of the worst days of atrocity in the Troubles should be told the truth, a campaigner has said. 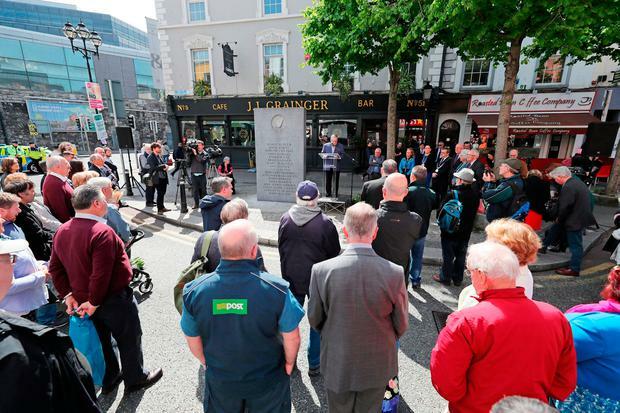 A wreath-laying ceremony took place at a Dublin memorial to 33 people killed by loyalist bombers yesterday, and their families want the British government to release classified security files relating to deaths in which state collusion is suspected. It marked the 44th anniversary of the blasts when paramilitaries detonated four no-warning bombs in Dublin and Monaghan on May 17, 1974. The Justice for the Forgotten lobby group has fought a long-running campaign for an open inquiry into allegations that British security agents colluded with the terrorists to plot the co-ordinated and sophisticated attacks. Spokesperson Margaret Urwin said: "When people talk about justice they are often meaning prosecutions and so on. "We have been campaigning now for 25 years, since 1993 basically. "What the families have always asked for, demanded, is for the truth rather than prosecutions. "I don't think they ever expect justice in that sense but what they really want to get is as much of the truth as possible."